This article will go through the steps you will take to create a Salesforce task as part of your sequence. 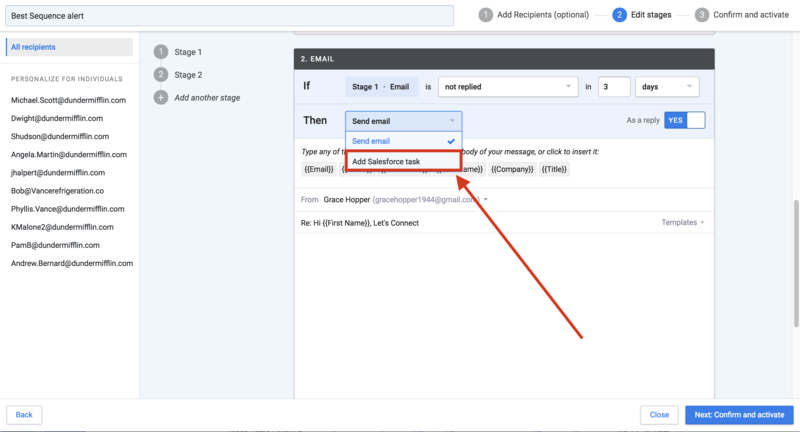 This is a feature available on our Enterprise plan and will require you to already have your Salesforce account connected in the Mixmax settings. If you're not yet familiar with sequences, we recommend browsing through our Sequences Overview to get familiar with this feature. 4. 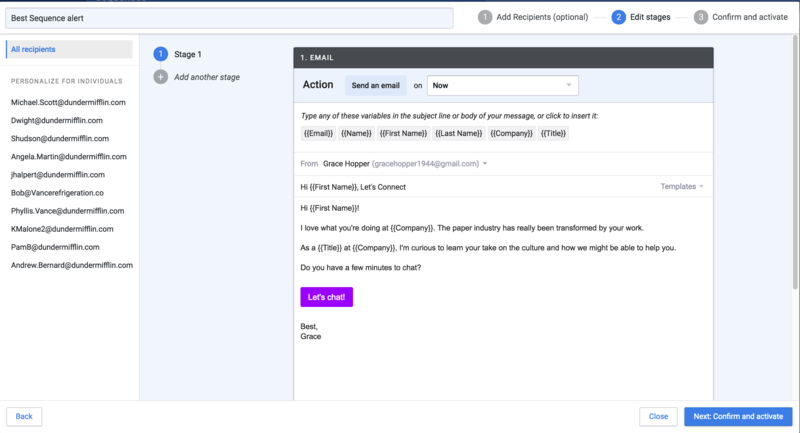 Compose the email body of your first message. Currently the first stage of a sequence needs to be an email. 8. Add additional stages to your sequence as you'd like and activate when you're ready. Tasks will only be created if the condition is met in the designated time frame. In the example above, a task would only be created if your recipient did not reply to stage 1 within four weekdays. You can include multiple tasks within a sequence and you can even create back to back tasks in your sequence. When you have an email that follows a task, the email will be sent based upon the conditions you set for the task. This email will be sent one day after the task is marked as completed or deferred within Salesforce. 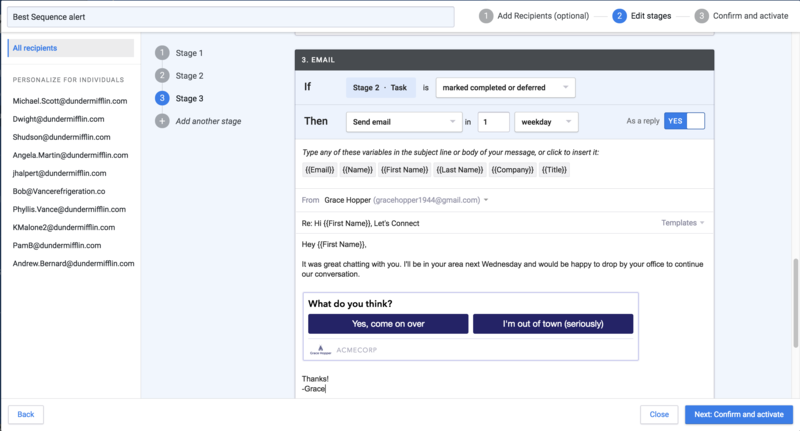 You will also have the option to send follow up stages if the task is not completed or deferred or regardless. In each instance, you would get to control when the follow up message is delivered. 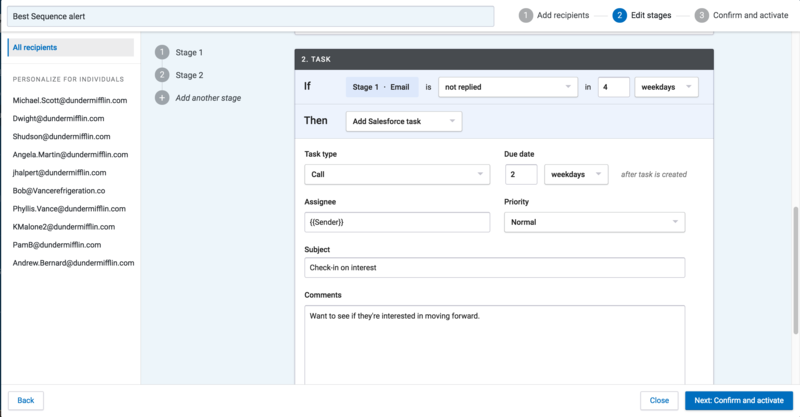 The time frame for messages following a task starts when the task is created in Salesforce. Have additional questions about Salesforce tasks in sequences? Send us an email at success@mixmax.com.